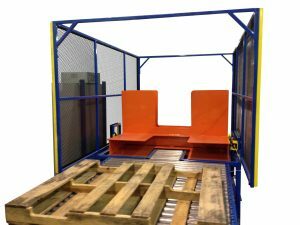 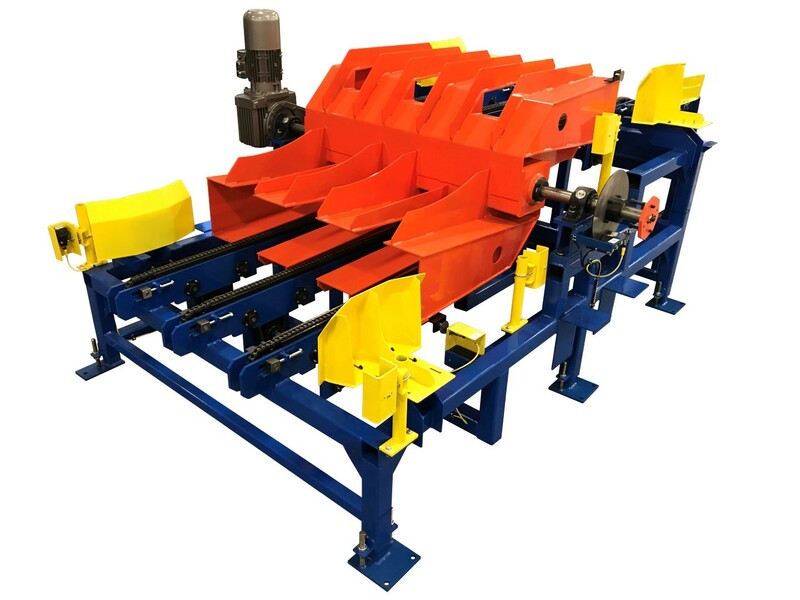 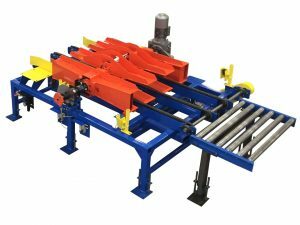 The AMS Flipper is an automated pallet handling machine that eliminates the backbreaking labor of turning a pallet over. 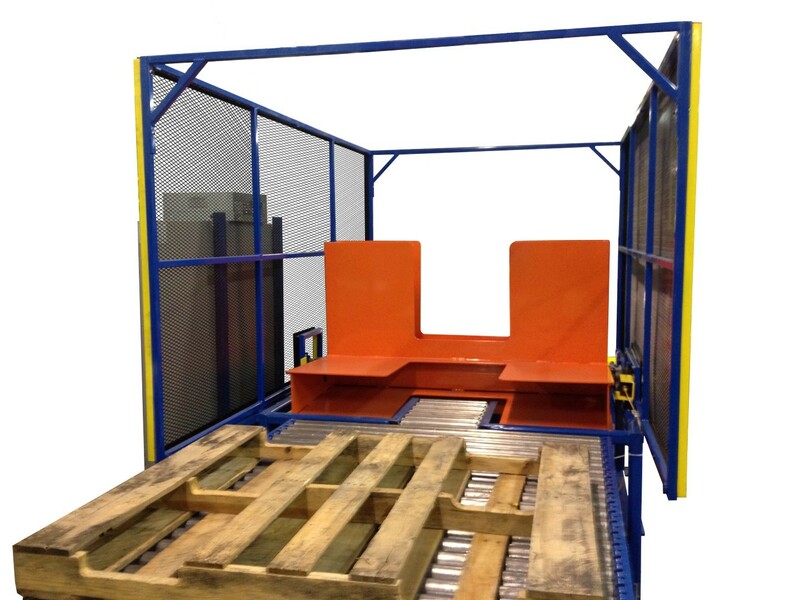 The photo-eye and relay logic controller assures that the Flipper maintains consistent pallet flow. 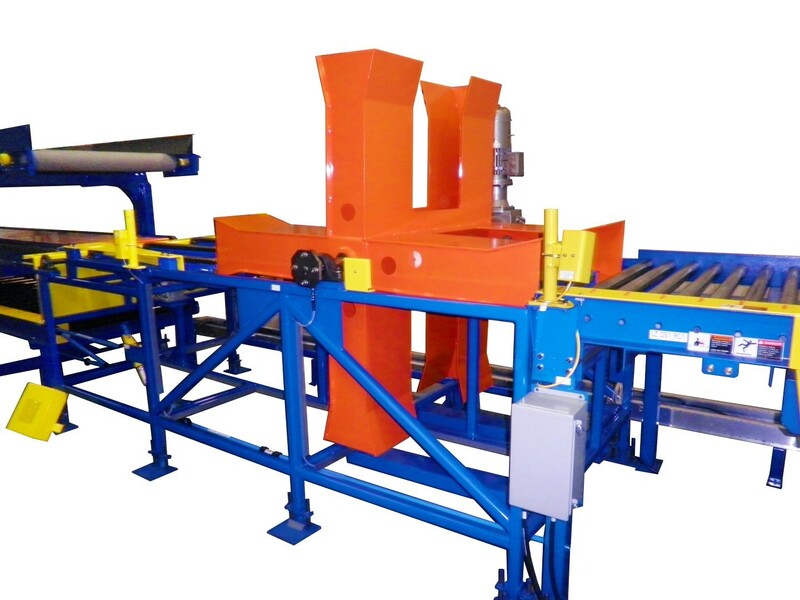 The Flipper may be integrated in any in-line conveyor pallet system and can handle a pallet every 4.5 seconds.